Buy Jeep Tire Carriers at ARIES Automotive Mount larger, off-road spare tires on the rear door of your Jeep Wrangler with an ARIES tire carrier. Our HD carrier is fully adjustable. ARIES Jeep tire carriers allow your Jeep Wrangler to accommodate a larger, off-road spare tire. 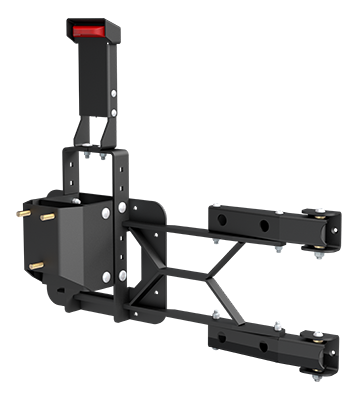 The HD carrier is fully adjustable, both vertically and horizontally, to accept up to 37" tires without interference problems, while our fixed model accepts 35" tires.